LIC premium payment within the due dates, is the most vital responsibility of the policy holder. This is easily said than done. Missing a due date can even make the policy void and may even fail to serve its very purpose, when it is most needed. In your busy day to day life, you may have faced several occasions where you ware unable to pay the premium at LIC branch cash counter, that too waiting in a long queue. LIC of India, the largest public sector insurer in India has addressed this problem to a great extend by providing umpteen number of choices for premium payment to policy holders. Lets have a look at the options one by one. LIC premium payment – ONLINE methods. LIC premium payment is possible through ATMs of following banks. LIC’s website provides a powerful customer portal with the name LIC e-services which provides a one stop solution to pay policy premium, track your policies, get premium calendars, find loan available and revival amounts, get premium paid statements for income tax purposes etc. In order to use the portal fully, you will have to register for LIC e-services. Please go through the step by step guide on registering for e services provided here to make the registration process hassle free. Premium can be paid through net banking, Debit Cards or Credit Cards. LIC has provided a method to pay LIC policy premium payment even with out any registration process also. This method is recommended only if you want to pay just one premium or held up in special situations like being out of station and not having your password for e- services and the like. LIC has developed softwares for different platforms to facilitate easy premium payment. 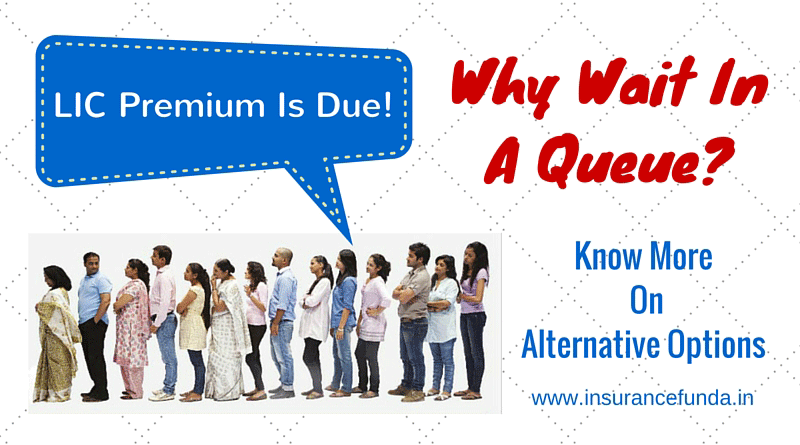 Premium can be paid as either Cheque or Cash at the cash counter of the authorised banks. One thing to remember is that Premium of ULIP policies and salary savings scheme(SSS) policies cannot be paid through bank. ICICI bank customers can pay LIC premium through Direct Debit method. This is done through standing Instruction given at your bank through a mandate form available at LIC branch office. This facility is provided through Bill Desk, Tech Process etc. Obviously the most popular method of offline premium payment is through cash counter of LIC it self. Cash counter timings of LIC is given here. of-late ECS has become one of the most popular method for Insurance policy premium payment. The premium is electronically debited from your bank account on a stipulated date based on the due date of the policy. Once enabled, this method provides a convenient way to pay policy premium.It is automatic and only thing to be ensured is that required amount is available with the account. Read more: 5 things you should know about ECS mode of payment in LIC. Download the ECS mandate form. Submit Signed ECS Mandate Form at your bank to enable ECS mode of payment. Existing policies with other modes of payment can also converted to ECS mode. So Life insurance corporation of India has provided a variety of choice for paying your valuable insurance policy and now its your job to keep premium due of all your policies up to date. I payment my premium by online, but don’t accept my email ld. Normally the site accepts all email ids.. Check it once again.